It's been announced today that Bletchley Park has a new CEO, Iain Standen, a recently retired Colonel from the British army. 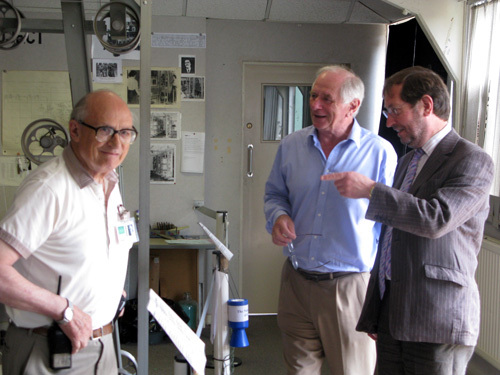 Before he disappears into his lovingly tended garden and a life of well-deserved leisure, I just wanted to pay tribute to Simon Greenish, who has been the key factor in the turnaround of Bletchley Park's fortunes since he took over in 2006. Five years ago, Bletchley Park's finances were in bad shape. There was a very real danger of it folding due to lack of funds. I know first-hand how hard Simon has worked - harder than most people could even begin to imagine - and he's received very little recognition outside of the staff and volunteers there. Two maths legends. And Alan Turing. For every pound raised by enthusiastic supporters like myself, Simon and his amazing team have raised £50, working madly long days and suffering untold stresses and strains to secure funding from a range of public and private bodies. It's this work - often done in secret, and often not reported - that has earned Bletchley Park it's future, and for that I'm hugely grateful. I have no doubt that, were it not for Simon Greenish, Bletchley Park would now be in the hands of property developers. As it is, Bletchley Park's future looks very positive indeed. Like the best boy scouts, Simon has left it in a much better condition than he found it, and - while there'll be many more challenges to come for Iain and the team - things are definitely on the up. 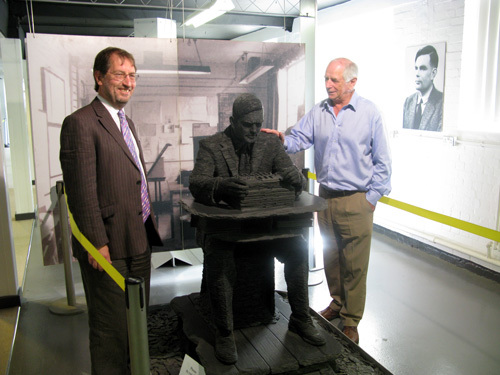 So, I raise a glass to you, Dr Simon Greenish, saviour of Bletchley Park. Top bloke, that Greenish chap!